While most SD-WAN solutions promise to save money and improve network agility, Silver Peak helps customers build a better WAN to deliver higher levels of application performance, business productivity and user experience. As applications increasingly migrate from the corporate data center into the cloud, networking professionals are quickly realizing that traditional WANs were never architected for such a dynamic, internetbased environment. It is clear that backhauling traffic destined to the cloud from the branch to headquarters to the internet and then back again to the branch, negatively impacts application performance and user experience. So why aren’t more internet connections used for WAN services? Historically, the internet was a best-effort amalgam of networks. It wasn’t secure or reliable enough to meet business connectivity requirements. It didn’t perform well enough to support latency-sensitive or bandwidth-intensive business applications. Software Defined WAN (SD-WAN) adoption is skyrocketing because of its ability to overcome the security, reliability and performance challenges to using the internet for business applications, while dramatically lowering wide-area networking costs. By unlocking the ability to securely and reliably use inexpensive broadband internet services in addition to, or instead of, expensive private line services, customers save up to 90 percent in wide area bandwidth costs. However, cost savings are only the beginning. By building a better WAN with Silver Peak, enterprises have the potential to increase end-user satisfaction and business productivity through improved performance, higher reliability, enhanced Quality of Service (QoS), security and improved visibility and control of applications running in their networks, regardless of the WAN connectivity service. This solution brief will focus on the award-winning Silver Peak Unity EdgeConnect SD-WAN solution and key innovations including tunnel bonding, virtual WAN overlays, path conditioning and flexible traffic shaping capabilities that elevate WAN performance to the next level compared to basic SD-WAN offerings. The brief will also describe how Silver Peak delivers the benefits of SD-WAN and WAN optimization in a single, fully integrated solution by service chaining the optional Unity Boost WAN optimization performance pack. Over the past decade and a half, MPLS has been the transport of choice for connecting branch offices, field locations and other business sites located remotely from headquarters or data centers. MPLS services provide secure, reliable WAN connectivity, however, MPLS is expensive, complex and often time-consuming to provision with long lead times from service providers. 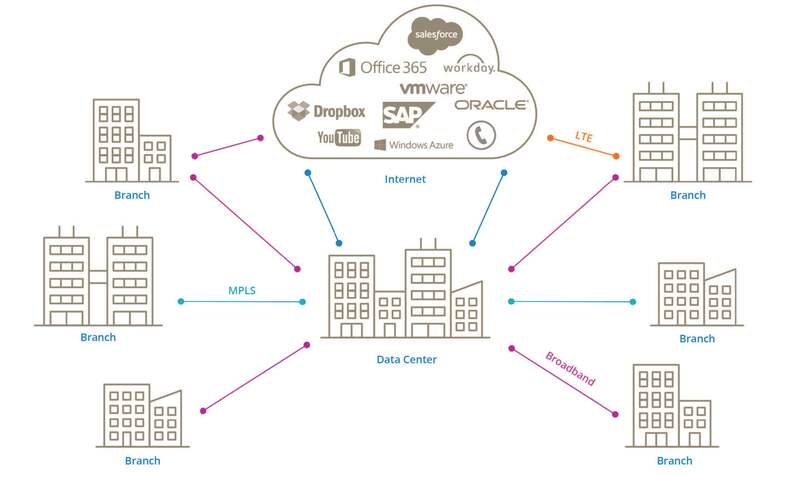 Application migration from the corporate data center to the cloud continues to accelerate, and this is driving customers to re-evaluate networking requirements, including broadband connectivity to connect users in branch offices to cloud-based applications. Using the internet for branch office WAN connectivity is a logical next step, but internet connections are often unreliable, delivering unpredictable application performance and notoriously lack security. SD-WANs overcome these limitations. An SD-WAN solution abstracts network hardware from WAN connectivity to lower costs, reduce complexity and improve agility. By establishing secure encrypted connections, SD-WANs remove the security concern of connecting users to business applications across the internet. It lets network managers confidently integrate commodity internet links into their WANs in addition to, or even instead of, leased line services, increasing bandwidth and potentially lowering costs. Adding broadband also allows for rapid WAN connectivity provisioning for new or temporary business locations and enables IT to add capacity at remote offices at the lowest cost to accommodate growth. Today, there are several fundamentals that nearly every SD-WAN provides. Consider these to be basic table-stakes in the SD-WAN space. First is the ability to use any and all sources of connectivity including broadband internet, MPLS, and 4G/LTE wireless. Any SD-WAN should be able to abstract these connections and add them to the pool of available SD-WAN paths. Second is the ability to intelligently and dynamically direct application traffic over the available connections. Path selection decisions should be based on the performance requirements of the application in choosing the optimal path across the WAN. This is especially true for cloud-based applications and if the organization has more than one data center. Third is centralized orchestration where configuration and administration of the SD-WAN is tuned and optimized from a single location. IT programs initial configurations and subsequent configuration changes centrally and automatically “pushes” them to every site across the SD-WAN. Finally, zero-touch provisioning (ZTP) allows network managers to easily add new sites by installing new SD-WAN appliances. Users simply plug in a physical appliance or bring up a virtual appliance and connect it to the WAN service(s). The new appliance “phones home” to the centralized orchestrator to receive configuration information and join the SD-WAN without requiring specialized IT expertise at the branch office. Centralized orchestration and ZTP significantly reduces IT operational costs and more importantly, reduces configuration errors. 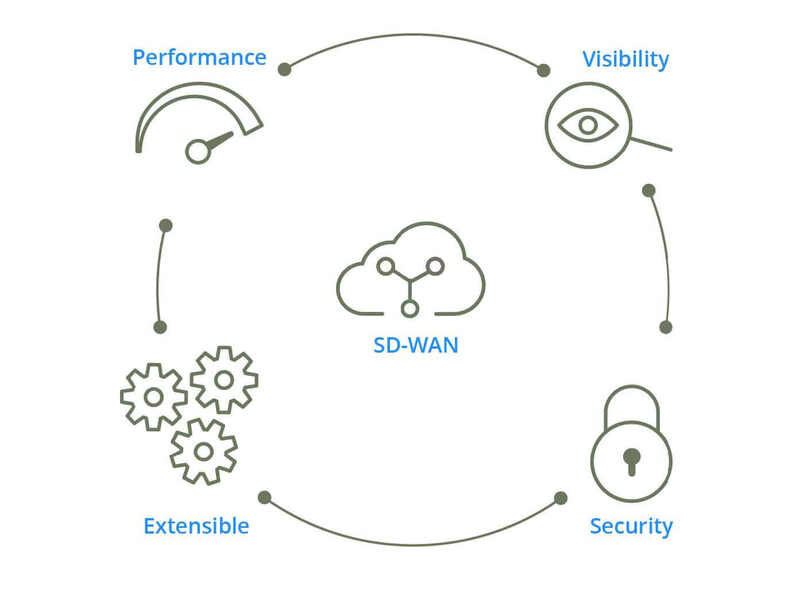 Several key innovations of the EdgeConnect SD-WAN solution enable IT to deliver predictable end-user experiences across the business, optimize performance of cloud-based applications and save money at the same time. While basic SD-WAN technologies provide more WAN connectivity options and the potential to lower WAN costs, they do not mitigate the application performance impacts of latency nor do they increase bandwidth efficiency. With more than 10 years of WAN experience and as a recognized leader in the Gartner WAN optimization Magic Quadrant, Silver Peak helps customers build a better WAN. Silver Peak EdgeConnect technologies deliver the highest levels of application performance, Quality of Service (QoS) and enable application SLAs over any combination of transport services including consumer broadband. provides several benefits including optimizing the SD-WAN for availability, throughput and efficiency. Bonded tunnels may be configured from two or more physical WAN links to form a single logical overlay connection. As an example, bonded tunnels can be configured with two MPLS connections to create a primary bonded tunnel. One MPLS connection might be serviced by AT&T and the other by Verizon. Figure 1: A bonded tunnel configured with an MPLS service plus an internet service delivers higher performance and higher availability than either single WAN service alone. In another scenario, a single tunnel (logical connection) can be configured with an MPLS link and an internet link, even if the speeds of these services are not the same. Depending upon application requirements that are mapped into a virtual WAN overlay policy (business intent overlay), EdgeConnect can load share traffic across both physical links or can map data traffic to one and Forward Error Correction (FEC) packets to the other. If one link were to fail, the remaining link would continue to carry all the traffic including FEC packets to keep the connection active and the application alive, avoiding any interruption or data loss. One challenge that an SD-WAN can address is how to best use higher bandwidth internet connections that are often one-tenth of the cost of private line services. In general, internet (and also wireless) connections are not as reliable as private – but costly – services like MPLS. Internet and wireless links often suffer from packet loss and jitter and are more likely to experience outages. Silver Peak Forward Error Correction reconstructs lost packets which avoids TCP re-transmissions, substantially increasing the effective performance of broadband links. The ratio of FEC packets to data packets is configurable depending upon the business-criticality and real-time requirements of the application. Packet Order Correction (POC) algorithms re-order packets that arrive out of order at their destination. This is a fairly common occurrence when load balancing across different service providers’ networks. With FEC and POC, EdgeConnect can make internet connections perform as well as or better than private lines. Figure 2: First-packet iQ identifies applications on the first packet, enabling granular steering of traffic based on business policies. With the increasing use of cloud-based SaaS applications and IaaS, secure direct-to-internet traffic steering delivers the highest application performance and minimizes wasted bandwidth resulting from backhauling traffic to the data center. However, first-packet application classification is essential to automatically steer trusted SaaS and web traffic directly to the internet for the highest performance, and unknown or suspicious traffic to a regional hub or data center firewall for further security inspection. First-packet iQ identifies applications on the first packet and goes beyond Deep Packet Inspection (DPI), port numbers or IP addresses to identify applications. It adds a cloud-hosted internet map, geolocation database and real-time machine learning to identify more than 10,000 applications and more than 300 million web domains. This information is continuously updated and automatically downloaded to EdgeConnect appliances. Figure 3: Business intent overlays abstract applications from WAN transport services to deliver application priority, performance and availability based on business requirements. In situations where distributed branch offices accessing SaaS over long distances, SaaS optimization dynamically finds the best performing route in real-time to reach applications in the cloud. Figure 4: Silver Peak Live View image displays the benefits of Tunnel Bonding and FEC in real-time. In the example shown, both MPLS and internet connections experience packet loss (orange areas) however, the virtual WAN overlay delivers an uninterrupted video stream. Different applications have different QoS and end-user experience requirements. For example, voice and video traffic requires zero packet loss and extremely low delay while file transfers need large amounts of bandwidth, but some amount of delay is acceptable. Silver Peak enables network managers to define business intent overlays — logical or virtual WAN overlays that reflect application QoS requirements relevant to the business. EdgeConnect maps applications to the appropriate business intent overlay which enables the SD-WAN to optimize routing decisions – automatically. EdgeConnect continuously monitors bonded tunnels and physical WAN links, factoring real-time data about delay, jitter and packet loss to make intelligent routing decisions. A Silver Peak SD-WAN solution learns and adapts to optimize and dynamically change paths if necessary based on actual performance with no application disruption. When link conditions change, the SD-WAN can revert back to the original path. EdgeConnect performs both egress and ingress traffic shaping. IT can program minimum and maximum bandwidth limits on the egress traffic shaping engine per traffic class to ensure no single application consumes all of the WAN bandwidth. Ingress shaping can be programmed to ensure that low-priority traffic does not override higher priority traffic. An example is to prevent video streaming or social media applications from compromising the performance of higher-priority business applications. Silver Peak takes SD-WAN performance even further for latency-sensitive applications or applications where large amounts of data must be transferred across the WAN. With the optional Unity Boost software performance pack, EdgeConnect integrates Silver Peak’s field-proven WAN optimization features in a single SD-WAN solution. TCP/IP applications such as transaction processing or data backup use a sliding data window and require handshaking or acknowledgments between end points before more data can be sent. No matter how much WAN bandwidth is available, latency caused by distance is a physical reality – the distance between San Francisco and London doesn’t change whether there is one megabit or 10 gigabits per second of WAN bandwidth. TCP acceleration shortcuts the handshaking, resulting in faster application response times, ultimately improving user and business productivity. 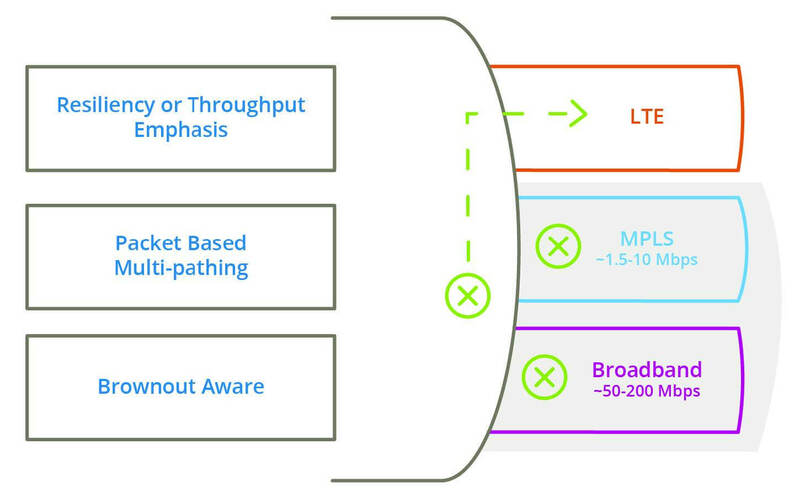 Figure 5: Granular traffic shaping and prioritization assures application QoS while optimizing bandwidth utilization. Data deduplication and data compression techniques minimize repetitive transmission of data across the WAN. This allows IT to complete backups within their allotted time window or recover from data loss rapidly. Combined, TCP acceleration and data management technologies further improve application performance and WAN efficiency, enabling IT to maximize the return on their WAN investments. As adoption accelerates, the cost savings realized from an SD-WAN become obvious. However, customers now realize that performance matters, and not all SD-WANs are created equal. Only Silver Peak delivers total performance and enables application SLAs at any scale using any combination of transport services. Business intent overlays, tunnel bonding and path conditioning deliver consistent application performance even through transport interruptions and brownouts. Fully integrated WAN optimization, derived from Silver Peak’s more than ten years’ experience, improves performance of latency-sensitive applications and applications where large amounts of data must be transferred over distance. Flexible deployment options seamlessly overlay existing WAN infrastructure making it easy to migrate to an SD-WAN. Silver Peak EdgeConnect helps customers build a better WAN that simply and intelligently pools any combination of connection types and optimizes traffic to deliver an unmatched user experience edge-to-edge.